Elizabeth W. Fernea (1927-2008) was a pathbreaking and influential writer and filmmaker whose work focuseed on the Middle East, particularly women and the family. Her last film, LIVING WITH THE PAST: HISTORIC CAIRO premiered at the Middle East Studies Association annual meeting in San Francisco in 2001 (she was a past president of MESA). Funded by the Ford Foundation, this one-hour documentary is an intimate portrait of the neighborhood of Darb al-Ahmar, in the heart of the old city of Cairo. Elizabeth Fernea produced five other documentaries, including A VEILED REVOLUTION: WOMEN AND RELIGION IN EGYPT for Channel Four, London; and THE STRUGGLE FOR PEACE: ISRAELIS AND PALESTINIANS for PBS in America. She also worked as a writer and associate producer on two films for Granada International, SOME WOMEN OF MARRAKECH and SAINTS AND SPIRITS. Fernea's latest book In Search of Islamic Feminism (Anchor/Doubleday) was called "A remarkable, stereotype-shattering, gender bending study of Middle Eastern women" by Kirkus Reviews. An accessible account of travel and personal interviews with women in nine different countries, from Uzbekistan to Saudi Arabia, the work explores women's own attitudes and reactions to their present and future. Guests of the Sheik: An Ethnography of an Iraqi Village, her first book, published by Anchor/Doubleday in 1965 and still continuously in print, has been cited as one of the 500 "Great Books by Women" in a recent Penguin Readers Guide (1996). Newsweek magazine recently listed it as one of ten best books to read about the Middle East since the September 11 crisis. Click here for a list of books by Elizabeth Fernea. Fernea's films were selected for showing at the Margaret Mead Film Festival, American Museum of Natural History, New York; the Royal Anthropological Institute's International Ethnographic Film Festival in England; the National Gallery, Washington, D.C.; Utrecht University, Holland; and the Stockholm, Sweden Ethnographic Museum. The London Film Theatre presented a special showing of WOMEN UNDER SIEGE, a portrait of women in a Palestinian refugee camp. 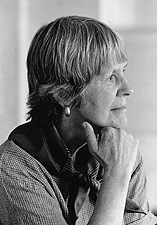 Before her death in 2008, Elizabeth Fernea was Professor Emeritus of English and Middle Eastern Studies at the University of Texas at Austin, where she taught for 25 years and was one of the founders of the Women's Studies program. Icarus Films is proud to distribute all of her films, and to have done so for over 30 years. Living With The Past - Cairo, Egypt is one of the few intact medieval cities that remain in the world. This a portrait of Darb al-Ahmar, a neighborhood in the old city now facing a process of radical change. The Road to Peace: Israelis and Palestinians - Explores the implications of this historic crossroads in Israeli-Palestinian relations -- a process now in great jeopardy. The Struggle for Peace: Isrealis and Palestinians - Introduces grassroots organizations with very different perspectives on how to bring about a peaceful settlement to the Israeli/Palestinian conflict. A Veiled Revolution - Considers the possible reasons for modern Egyption women's turn back to tradition.